The International Contemporary Ensemble’s UMS debut features mechanical instruments that have had a place in music history: organ (in this case, Hill Auditorium’s Frieze Memorial Organ), harmonium, harpsichord, music boxes, carillons, and electronic instruments. In Plain Air is a composition in four movements for organ, ensemble, electronics, and customized instruments designed to bring the sonic properties of a large organ into a contemporary concert context, with members providing sonic liaisons to the organ and its rich color combinations. 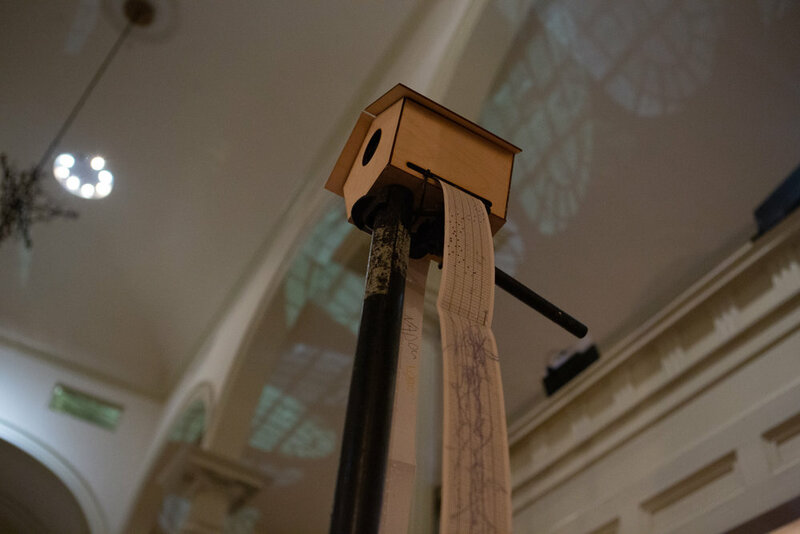 The work also abstracts and layers a historical lineage of mechanical instruments inspired by the organ and its role in communal music-making. The result? A journey through a diverse landscape of timbres, instrumental scales, and sonic spaces both public and private.